Vintage Flag Tank Only $16.99! You are here: Home / Great Deals / Vintage Flag Tank Only $16.99! This tank is especially perfect for the Fourth of July, but also for all summer long! These tops are hip, laid-back and oh-so cool! We are loving this vintage trend that is just getting hotter. These tanks will be your favorite go-to piece for BBQ’s all summer! 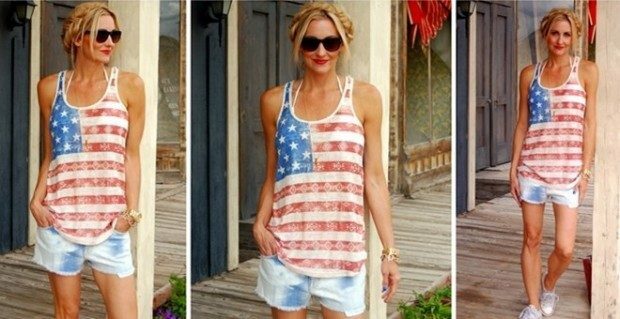 Get the Vintage Flag Tank for Only $16.99 from Jane! They are super comfy and nice and flowy that make for a very figure flattering top!